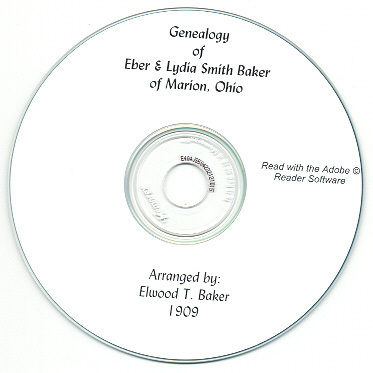 The book, "A Genealogy of Eber and Lydia Smith Baker of Marion, Ohio and some of their Descendants - Revised to October 1909," by Elwood T. Baker, 1909, Chariton, Iowa. 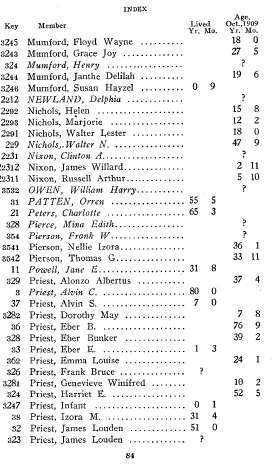 A genealogy of the family of Deacon Smith Baker, of Litchfield, Maine, son of Capt. 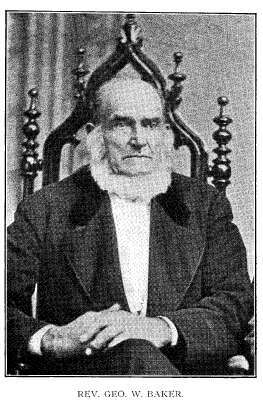 Smith Baker, who was a brother of Eber Baker, was published in 1874 by Rev. Smith Baker III of Lowell, Mass. 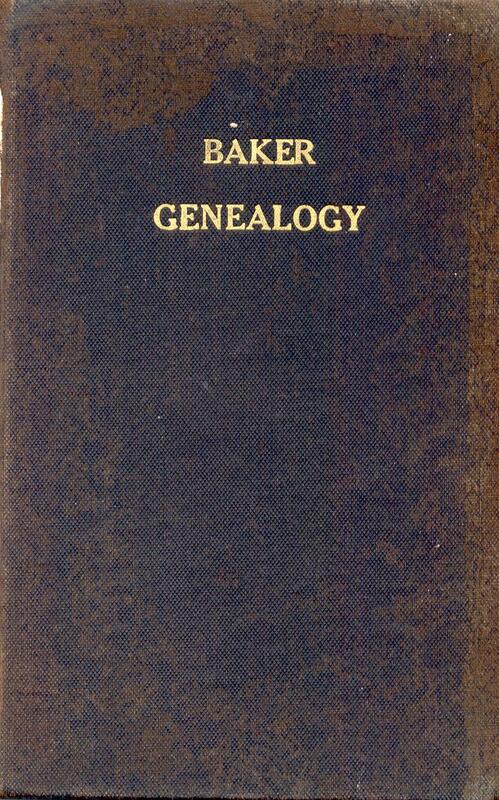 In 1888, Charles, son of Eber Baker, added to the above and published 'A Genealogy of the Family of Eber Baker.' 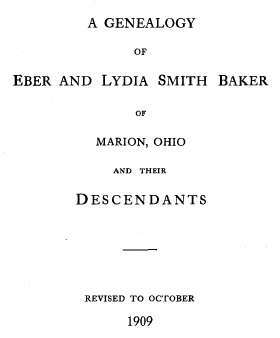 This book is a rearrangement and continuation of the project, with a genealogy of Lydia Smith, wife of Eber, added from the book, 'A Genealogy of William Brewster,' published in 1908. Please note: This is not a paper book, it is a scan of the original paper book into the digital Adobe PDF format, written on a CD-ROM. You read this book on your computer using the free Adobe Reader software. It is a digital version of a hard to find book. The book is indexed but not linked in pdf. 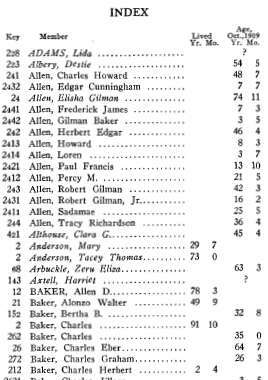 Please see some of the 12 Index pages below. The book has 76 pages of family information. 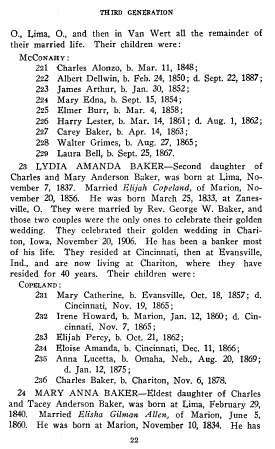 Also included is a separately published Appendix that corrects some errors and provides additional information and photographs of the family.